Columbia City’s Beatwalk, now in its 21st year, is funded by the community, from businesses to individuals who want to help promote and celebrate our historic district. 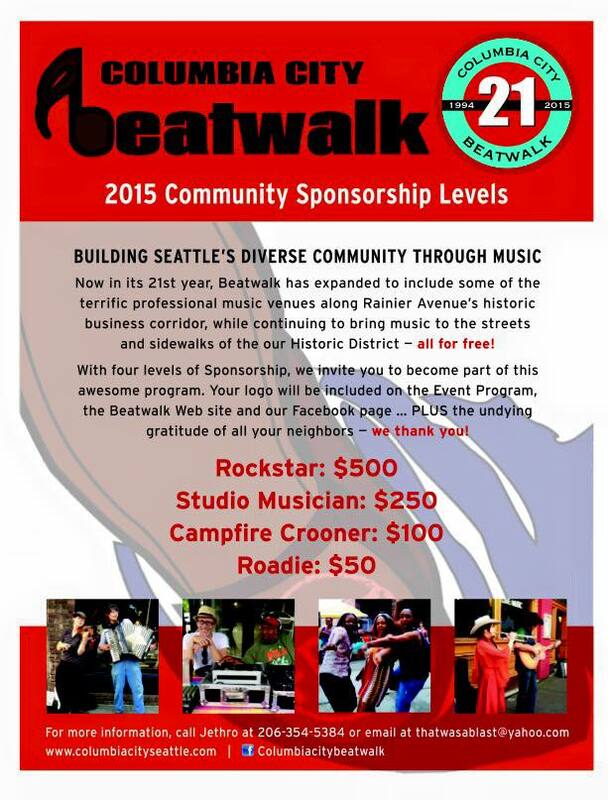 Please contribute and help us make Beatwalk 2015 the best yet! Feel free to contact us for any information, and share and like this post so we can spread the word.